Mercy Ayorinde was born the western part of Nigeria, West Africa. She was born into a polygamous home in the house of an Imam. While in school, she was a fervent Muslim, passionately convincing people on campus that Islam is the way. She was known for distributing Islamic tracts and often confronted Christians especially on the resurrection of Christ. She would ask, “who moved the stone?” and from there make her argument on the invalidity of the Lordship of Christ. Her commitment led her to being the secretary of the Islamic society in her university. Mercy, then known as Memunat had a natural gift of dreams. Even as a Muslim, she would dream of exam questions and use them as hints to study. Don’t worry, she didn’t see all the questions, just enough for her to pass. One day she had an interesting conversation with one of her instructors in school. The instructor was a Christian and made a deal with her, ” If Allah is God, let him show himself me, If Christ is God, let him show himself to you”, said her instructor. Memunat had no qualms about this as she was familiar with having visions of the night and she was certain that her instructor was ignorant. So she agreed that if Jesus is indeed alive and shows himself to her, she will believe that He is Lord. She definitely did not anticipate what was coming next. A few days later, she dosed off in her room after an early morning routine prayer. She saw something- or rather – Someone who changed her life forever. She saw Jesus. She knew this because He showed her His hands that were bored with holes. “I did this for you”, he said in a voice that expressed both authority and unrestrained love. He called her by her name, Bamitale. This was a name only her closest relatives knew her by. Jesus told her, “I am the way, follow me,” and from then, she did. With her heart, she sought to understand this person that seemed to know the depth of her being; She decided to follow Christ and redeem the days she had lived in error. She changed her name to Mercy. Life became tough. Her father, a senior Alhaji did not see it fit to continue to sponsor his newly converted daughter. Pastor Mercy had a passion for script-writing and acting. She soon launched a drama ministry in church. What started as little playlets became recorded movies. Pastor Mercy started on a personal vision to minister to the widows and widowers in the communities the church crusades were held. She was seen to show kindness in words and deeds. Pastor Mercy did not forget the strain on her as she waited on the Lord for a suitable spouse, so she fostered meetings to minister to Singles Pastor Mercy’s work as a shepherd of God’s people was really more than Sunday activities. It is important to pause here and talk about a very special ministry of Pastor Mercy. She has a deep burden for couples looking for the fruit of the womb. The ministry has led to her being called “the barrenness bulldozer”. She is currently working on establishing a fertility clinic to medically and spiritually help those who the world have named barren. Another passion that follows closely to this is a ministry to orphans. She has an orphanage outside Lagos, and always finds time to invest in the lives of the children under her care. A brain child in line with this dream is her school, SAWE, though still in its elementary stage is growing rapidly. In the spirit of educating others, she also founded a program for those who are interested in clothing and textile. A program built with the mind to empower young people to be entrepreneurs. Programs for those interested in computing, handcrafts and catering are certainly on their way. Currently, Prophetess Mercy is involved in a ministry for couples, usually organized as special periodic dinner nights for married men and their wives. In addition to this, Prophetess Mercy transfers her passion for scriptwriting into the writing of books and booklets that aim at resolving some struggles she sees in the body of Christ. Prophetess Mercy works to mentor young leaders, especially the wives of christian leaders. Her most recent vision launched is When asked why she spends so much time and effort investing in people, she says, “It costs a candle nothing to light another candle. More lighted candles only mean there is more light for people to see in a dark world”. 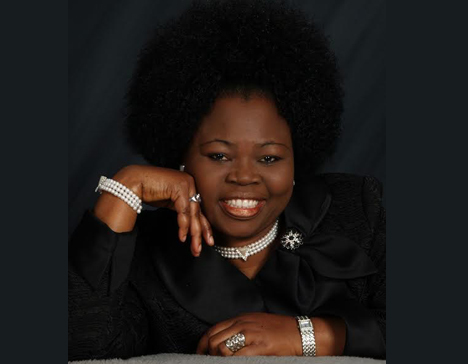 She is married to Prophet Samson Ayorinde, the genral overseer of World Evangelism Bible Church (WEBIC.